Do you participate fully in post-digital culture? It’s likely that you do, even if you don’t recognise it. Here’s a light-hearted adaptation of a critical article, “What is post-digital?” by Florian Cramer. According to Cramer, post-digital cultures exhibit “either a contemporary disenchantment with digital information systems and media gadgets, or a period in which our fascination with these systems and gadgets has become historical” (13). There always have been sceptics. Now we are in a position to historicise (i.e. locate in history) the former fascination with all things digital. A 2014 Guardian article about post-digital cultures references the performance artist Marina Abramovic. There’s a Youtube clip where she tells us how to savour a glass of water. The postdigital indicates a trend to go live, to attend concerts in the flesh, and to be in the moment. Real life is not online. Why speak any longer about digital architecture, digital medicine, digital ethnography, digital engineering, digital writing, digital aviation or digital art? The digital is everywhere. According to Cramer, “‘Post-digital’ thus refers to a state in which the disruption brought upon [sic] by digital information technology has already occurred” (7). According to Cramer, heirs to the post-digital age reject “the kind of techno-positivist innovation narratives exemplified by media such as Wired magazine, Ray Kurzweil’s Google-sponsored ‘singularity’ movement, and of course Silicon Valley” (20). They also reject “the Quantified Self movement, and sensor-controlled ‘Smart Cities’” (25). You would have to add “parametricism” and “biophilic design” to this list. The world is not big data. Cramer starts his article with the image of the hipster with a typewriter in the park offering to type up personalised stories for passers by. The hapless writer provides a nice post-digital motif as it’s an art performance, delivered with irony, and indicates a technology choice more suited to sitting on a park bench with no printer or power supply to hand: “a post-digital choice: using the technology most suitable to the job, rather than automatically ‘defaulting’ to the latest ‘new media’ device” (24). Champions of the post-digital dispense with distinctions such as new media versus old media, or digital versus analogue, but they are aware of the distinctions between DIY versus corporate, independent versus global multinational and militarist. Perhaps there was a time when it made sense to speak of the Internet as a radically permissive medium, a wild frontier, and a truly democratic medium. The postdigitalists of course use the Internet and whatever media are to hand to exercise their commerce in small scale, independent, do-it-yourself, semi-crafted practices and works. But they know that big corporations do this too. Cramer identifies a “Semiotic shift to the indexical” (22). I take this to mean an emphasis on collections and their materiality, without resorting to an overarching ordering system or theory. This reminds me of the flea market, cabinet of curiosities, and back rooms of a museum. Just show me what you’ve got — never mind the smart display, the meanings, and complex narratives. There’s a subtle argument here that the digital cuts out the aesthetic. For Cramer, “Our senses can only perceive information in the form of non-discrete signals such as sound or light waves” (23). So, “anything aesthetic (in the literal sense of aisthesis, perception) is, by strict technical definition, analog” (23). Post-digital cultures reject the proposition that the world is made up of digital information (bits and bytes), and thereby reclaim the aesthetic. The quest for agency of course extends to others, and supporting others in the same quest. We need to be in control rather than submit to the pressures of advertising, big government, corporations, militarism, colonial rule, and class categories. The Internet and mobile communications can be marshalled to assist in the exercise of agency, though they are also tools for others to control us. Anderson, Chris. 2008. The end of theory: The data deluge makes the scientific method obsolete. Wired Magazine, (16) 07, Online. Berry, David M., and Michael Dieter. 2015. Thinking postdigital aesthetics: Art, computation and design. In David M. Berry, and Michael Dieter (eds. ), Postdigital Aesthetics: Art, Computation and Design: 1-11. Basingstoke, England: Palgrave Macmillan. The first picture is of a “steam punk” hair stylist at 148 Brick Lane, Shadwell. 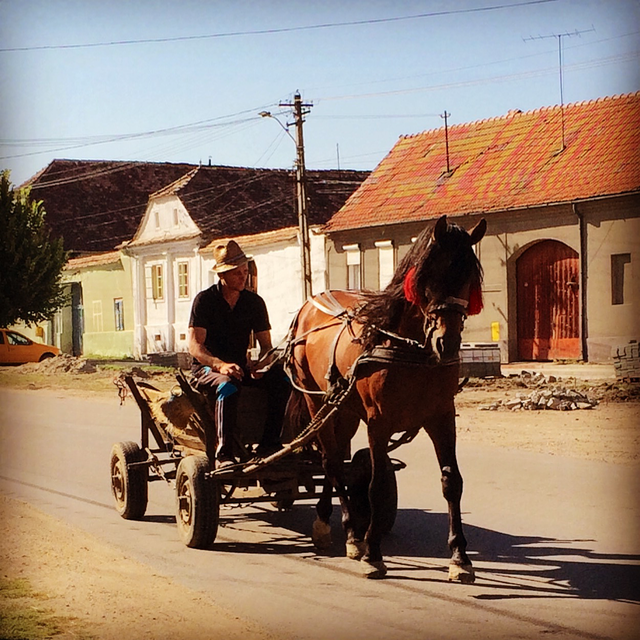 The second is a digitally aged photograph taken in the village of Valea Viilor, Romania in July. 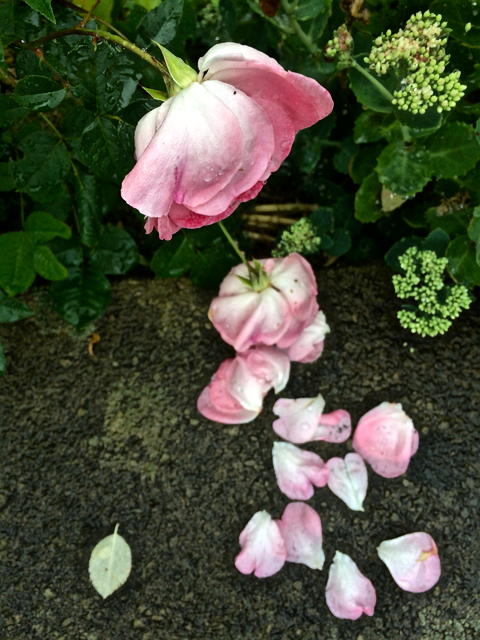 The third is a couple of roses after a heavy rain shower in England. « When did we become post-digital?